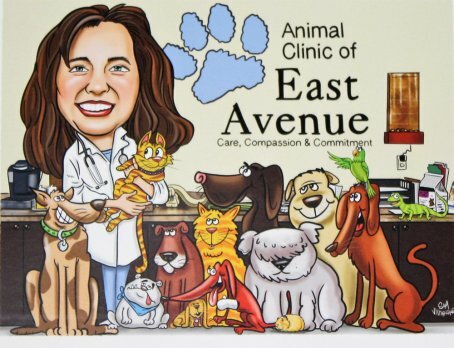 At the Animal Clinic of East Avenue, these are more than just words. This is our sincere pledge to provide you and your pet with the highest level of advanced veterinary care available. We truly appreciate what a beloved role your pet holds in your family. As such, we care deeply enough to take additional time to fully discuss their health issues with you, provide careful analysis and advise you the best possible options for their continued good health and happiness. Our staff is keenly tuned in to our patients’ comfort and emotional well being. Every interaction with them and every aspect of our state-of-the-art facility is carefully planned and implemented with genuine compassion for their feelings and quality of life. 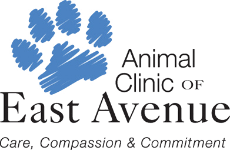 We are committed to operating a full service veterinary hospital with a professionally trained staff who are dedicated to providing your pet with the highest standard of veterinary care through preventative care, client education, and continual team development.